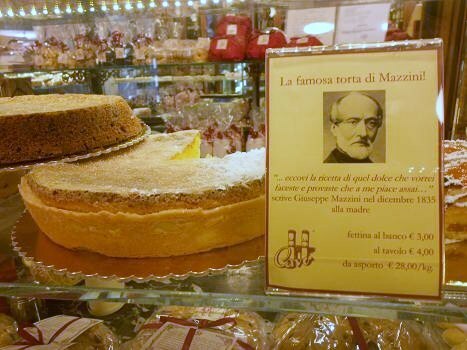 This cake Giuseppe Mazzini (called Pippo) was so fond of, that in one of the letters to his mother Maria Drago, from Grenchen in Switzerland (1834-1846), where he was an exile and clandestine, he sent the recipe to try it. 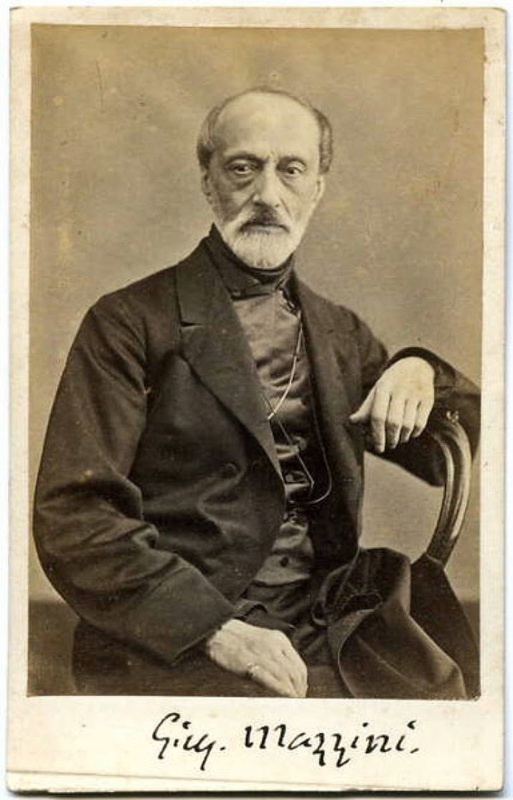 Giuseppe Mazzini (Genoa 22 June 1805 – 10 March 1872) was an Italian politician, journalist, activist for the unification of Italy, and spearhead of the Italian revolutionary movement. Light the oven bringing it to 180 ° C; chop with the knife, then pestle, or pass the almonds in the mixer (optional if very finely or not, I prefer to feel the crunchiness). With a whisk, beat the egg yolks well with the sugar, until they are light and soft, add the ground almonds, the grated rind and the lemon juice. Finally add gently mixing the egg whites, which you will have already mounted in firm snow. Fill with this mixture the puff pastry, spread on the buttered cake tin and sprinkled with flour (or lined with baking paper). Spread a little sugar on the surface and cook for about 30 minutes. Once lukewarm, transfer the cake onto a plate, sprinkle with powdered sugar and serve cut into slices.